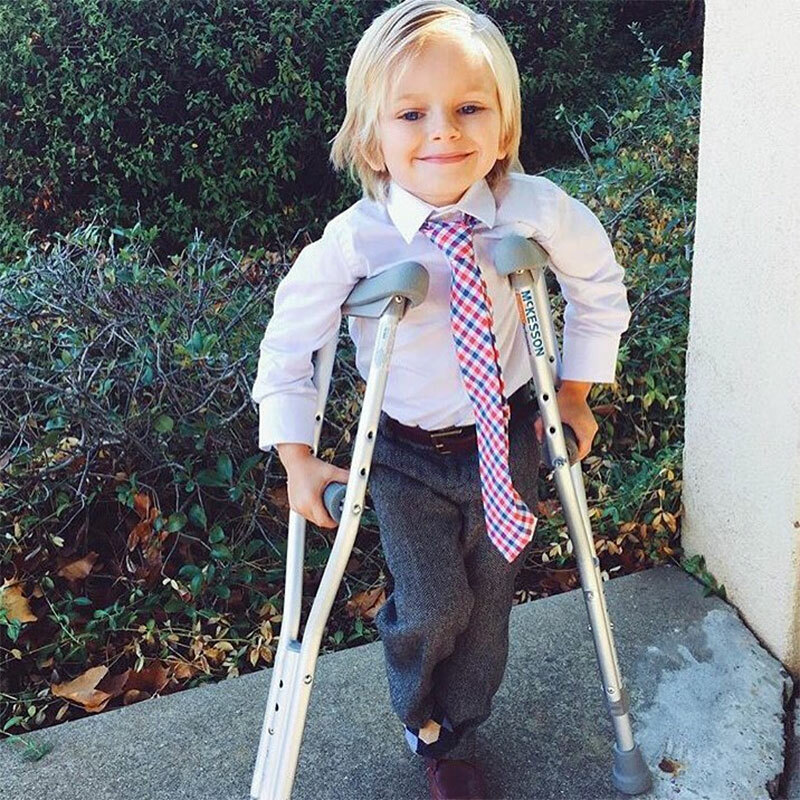 When you are on crutches, nothing is easy. Walking on the snow and ice is never easy, even when you have two feet! When you are on crutches, it is even more of a challenge. You don’t want to slip and fall and injure yourself any further, that is for sure! Even if you feel like you are athletic and at the top of your physical game, accidents can happen. Here are a few tips to help you walk safely on snow and ice this winter. The first thing you will want to do is be as comfortable with your best crutches as possible. Practice good posture and how to keep your balance. 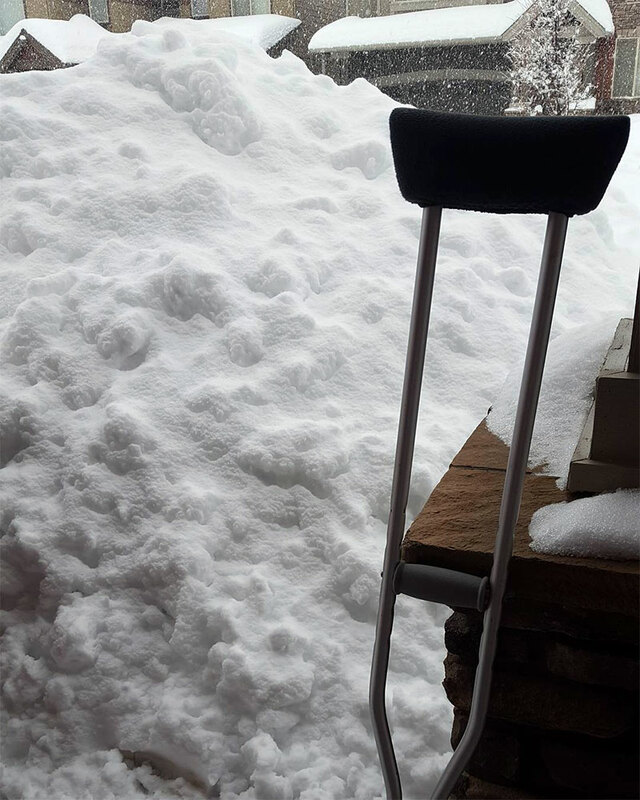 You will need to take other precautions when it comes to snow and ice, but if you are comfortable with your crutches, you have already overcome the first hurdle of using them in treacherous weather conditions. If you are using the same crutches you used when you injured your knee playing sports in high school; you should probably look into updating them. Do a top to bottom inspection of your crutches. Are the tips smooth and worn? Replace them! You will need as much traction as possible. 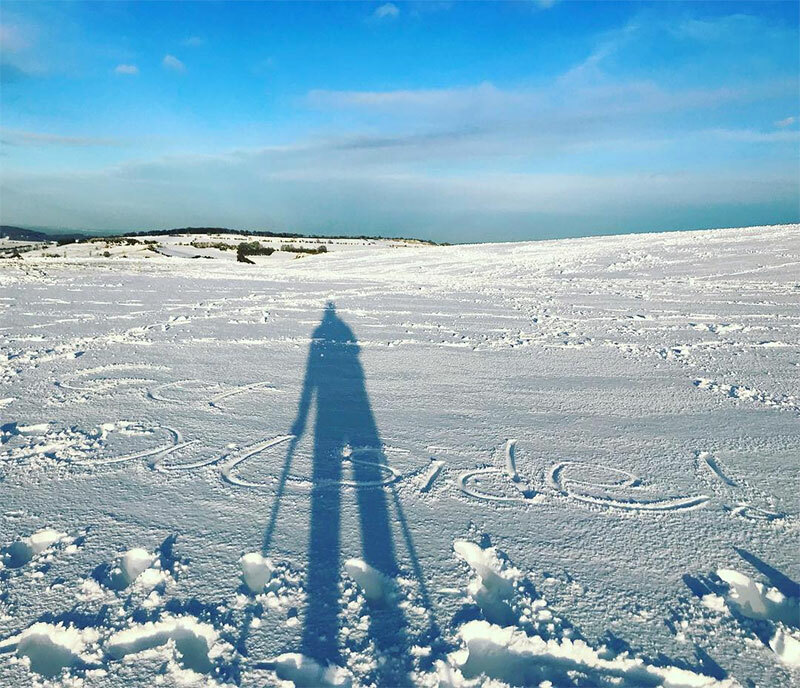 There are also spiked attachments for the bottom of crutches to help with snow and ice, but beware that they may be worse when you are walking on wet or smooth surfaces. You will want to make sure that whatever show you place on your one good foot is appropriate for snow and ice. You will want something with a thick sole that has good traction. The shoe should be something that is easy to put on and take off, but also something that will stay firm beneath you no matter what you encounter. When you are heading in to work, the store or anywhere else and conditions are such that you are not comfortable getting yourself in safely, ask for help. It might be hard to admit that you cannot safely get from place to place, but asking for help is much better than injuring yourself again. When the weather is really bad, be honest with yourself. It is worth the effort to venture outside? You might go a little stir crazy, but you certainly don’t want to jeopardize your recovery from foot surgery unless you absolutely have to. Walking on snow and ice is hard for those with two feet. When you have just one, it becomes even more dangerous. Use these tips to get yourself on the other side of the winter, snow and ice season.